The Faculty Artist Series presents violist Masumi Per Rostad, Associate Professor of Viola, Saturday, November 10, at 7:30 p.m., in Hatch Recital Hall, at the Eastman School of Music. The performance will include selected Mozart sonatas and feature guest pianist Sonia Rostad. Masumi Per Rostad, a faculty member in Eastman’s Strings, Harp and Guitar Department, has forged a career as a soloist and as a member of the Pacifica Quartet, which has received a GRAMMY® for Best Chamber Music Performance and was named Musical America’s Ensemble of the Year. Rostad has received praise for his rich and expressive tone, energy, and commanding presence, and has been described by critics as an “electrifying, poetic and sensitive musician.” In addition to performing, Rostad teaches, and has contributed to online and print publications. Along with his position at Eastman, Rostad has served on the faculties of the Jacobs School of Music at Indiana University, the University of Illinois at Urbana-Champaign, the University of Chicago, and Northwestern University. He has given numerous solo and chamber music master classes at schools, venues, and festivals, including the Cleveland Institute of Music, the Colburn School, the New York Youth Symphony, Suntory Hall, Sydney Conservatory, the Royal College of Music, the San Francisco Conservatory of Music, and the Aspen and Bowdoin festivals. Rostad has also been a contributing writer to such publications as Strings, Gramophone, The Huffington Post, and The Guardian. His advocacy for the arts and passion to increase opportunities for audiences to hear chamber music led him to launch DoCha, a festival in Champaign, Illinois. Events at DoCha feature multi-genre collaborative presentations, from classical chamber music to contemporary dance to the spoken word. 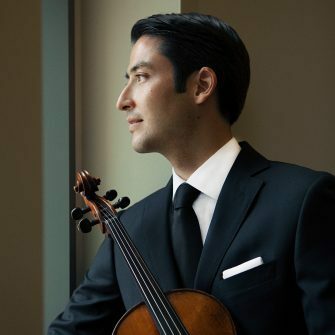 Initially starting music studies on the violin when he was three years old at the Third Street Music School Settlement in New York City, Rostad discovered the viola when he was twelve. Rostad received Bachelor and Master of Music degrees from The Juilliard School, where he studied with legendary violist and pedagogue Karen Tuttle from the age of 17; just three years later, when he was 20, she selected him as her teaching assistant. He received the Lillian Fuchs Award for outstanding graduating violist. Rostad performed the world premiere of Michael White’s Viola Concerto in Lincoln Center’s Avery Fisher Hall and gave the New York premiere of Paul Schoenfield’s Viola Concerto with the Juilliard Symphony.